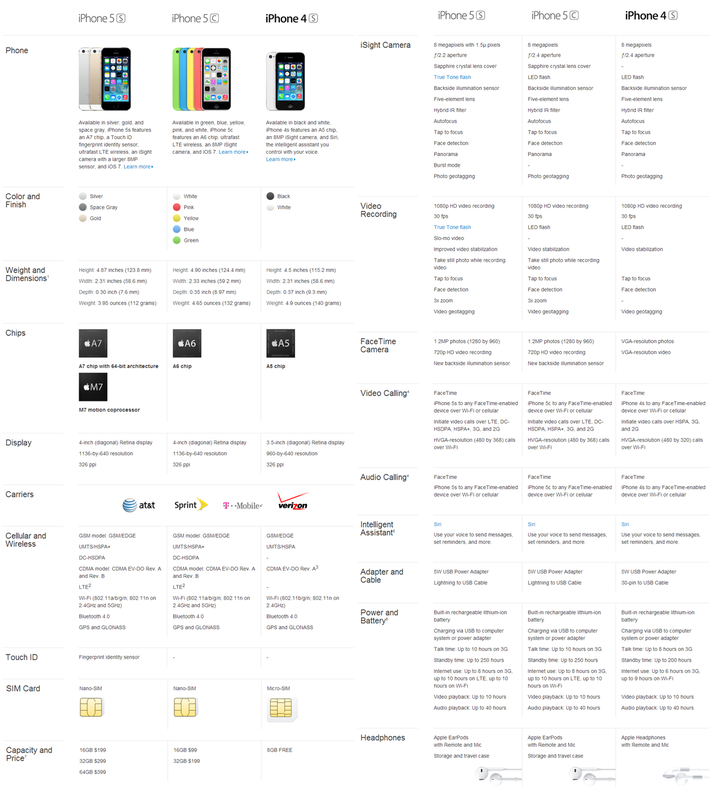 After the successful launched of iPhone 5S and iPhone 5C smartphones, if you're still confused which Apple device is to be purchased than we are here to solve your problem and confusion with an Infographic on iPhone 5S vs. iPhone 5C vs. iPhone 4S Features, Tech-Specs and Price Comparison Chart which demonstrate features of Apple top three devices. To buy any device budget and money is seems to be the main problems for most of the users that is why Apple has introduced the budget friendly iPhone 5C device with the introduction of new color schemes back cases and with iPhone 5S the traditional classic black and white colors has been revoked by Apple from its high-end iPhone series. Now users can get colorful and trendy iPhone devices in shape of iPhone 5S and iPhone 5C. So if you're thinking to purchase any of the products or wants to give it as a gift to someone than following Infographic Comparison Chart on iPhone 5S vs. iPhone 5C vs. iPhone 4S Features, Tech-Specs and Price will surely help you.